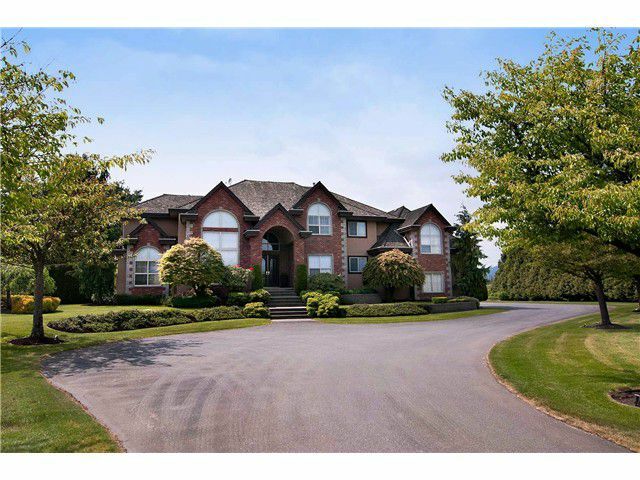 Truly unbelievable home of over 5,800 sq ft sits on 5 manicured & gated acres along side the Pitt River. Chef kitchen with Thermador fridge, dble ovens, stainless steel 6 burner cooktop, Miele built in coffee maker, Fisher Paykel 2 drawerdishwasher, SS wine fridge, stunning Blackbird granite & glass tile backsplash, infloor radiant heat, travertine flooring, huge games rm with wet bar. All this on 5 acres with an in-ground pool complete with slide & diving board, waterfall feature in a beautiful pond, inground sprinklers, massive 4 car garage with direct access to 5 1/2 ft heated crawlspace to park the toys. YOU WILL NOT FIND A MORE IMPRESSIVE HOME IN PITT MEADOWS!! Call today for your private showing.